Unicorns, clouds, and rainbows...oh my! Unicorns, clouds, and rainbows … oh my! 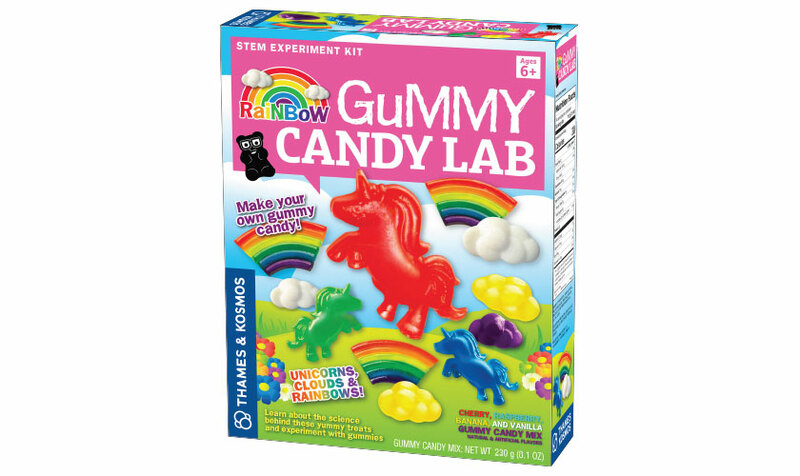 Make your own delicious, fun gummy shapes using a gelatin mixture: Pour it into the included mold and concoct a spectrum of flavors and colors to personalize your unicorn, cloud, and rainbow-shaped gummy creations. You can even add citric acid to make sour gummies. Bonus: Learn about the scientific properties of natural polymers as you cook up these delicious treats! 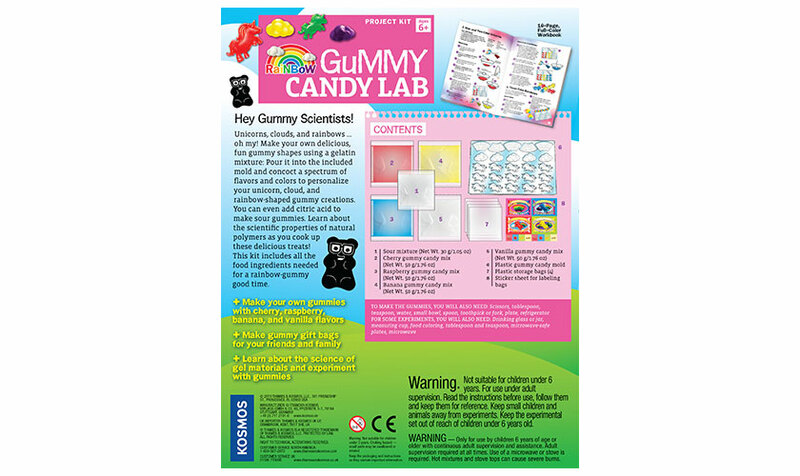 This kit includes all the food ingredients needed for a rainbow-gummy good time.